The State of Inbound report takes a close look at inbound marketing today, including how it has changed and how those changes are affecting the way inbound marketing teams work. Below, we’ll examine six takeaways from the report and what they mean for inbound marketing professionals. When polled about the challenges they face when selling to customers, 38 percent of inbound marketers said the top difficulty is getting them to respond. That answer was given by 38 percent of people. As you might imagine, marketers felt closing deals was a close second, and 35 percent said they found it hardest to reach that point. Why It Matters: Thanks to things like social media and mobile apps, people have more choices than ever before when deciding when and where to buy something. They also have more freedom to ignore the channels marketers may use to contact them. For example, it’s easy to silence a ringing phone or never open an email. Industry professionals consider an email opened if the recipient views at least one image in the preview pane on the email body itself or click a link within the message. In 2016, the average email open rate was only 24 percent. The percents of time emails get opened differs from country to country, as well. To give themselves the best chance at getting people to respond, inbound marketers must review their tactics and determine what can be done to encourage higher response rates. Because it’s hard to convince people to answer their phones, it may be worthwhile to look at methods of in-app advertising or changing email subject lines, so they are more relevant. 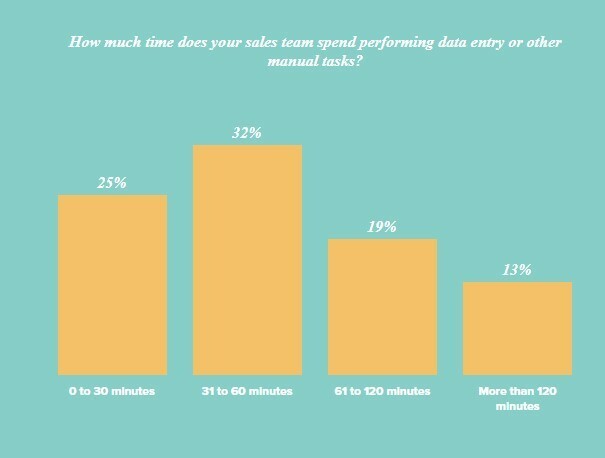 The study also found that 57 percent of sales professionals spend up to an hour a day taking care of data entry, as well as other duties that didn’t convert to leads. Why It Matters: Today’s consumers are increasingly tech-savvy. They often depend on inbox helpers to ensure they don’t miss important messages or talk to chatbots to find out much-needed details about businesses outside of normal operating hours. Sales professionals must evolve in the same way. By automating parts of the lead-generation process and using lead scoring systems to work only on accounts likely to convert, inbound marketers can save time. 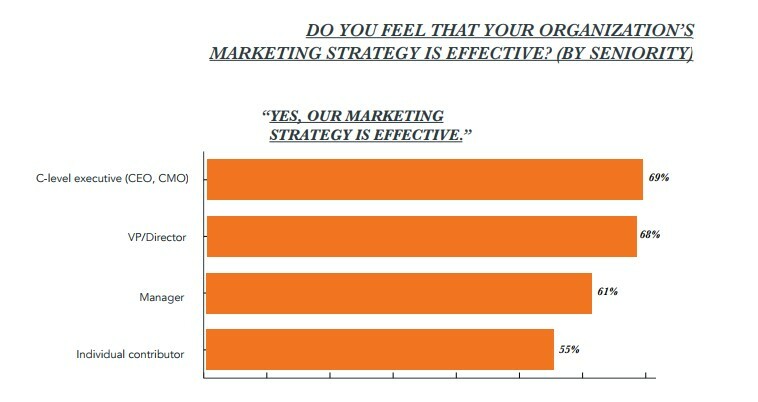 The report discovered that 69 percent of respondents thought their inbound marketing strategies were effective. That’s good news on its face, but a closer look reveals something unusual: That statement was made by 69 percent of C-level executives, but only 55 percent of individual contributors, such as team members and managers, agreed. Why It Matters: The gap in those two percentages indicates a lack of clear communication among all levels of participating organizations. No one seems to have an accurate picture of what’s going on. It’s possible that executives have a more positive view about effectiveness because they see the broader picture of how marketing is helping the whole company. However, it may also be the case that those executives are not aware of how smaller goals aren’t being met. 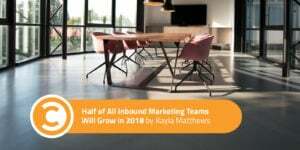 Despite the difficulty in getting people to respond to sales-related prompts, the inbound marketing industry is doing well enough to expect expansions during the next year. Specifically, 55 percent say their sales teams should grow, and only five percent think they’ll become smaller. 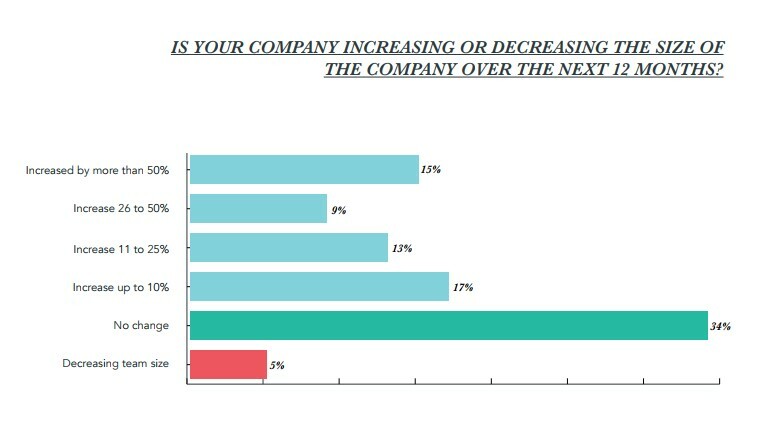 15 percent of companies expect to grow by over 50 percent. Why It Matters: This statistic suggests that even when inbound marketers know they’re not doing everything perfectly, they feel confident enough that the year ahead will be a successful one. Marketing experts agree that the key to successful inbound marketing is great content. Furthermore, inbound marketers must invest in superb distribution tools to ensure excellent material gets seen by the proper audience. It’s also important to offer website content featuring tips people can actually use, rather than simply writing to fill a void. Looking ahead, the smartest inbound marketing companies may target hiring practices to find the most talented content creators, as well as people who are familiar with the traditional and emerging ways to spread text, image, and video-based materials far and wide. 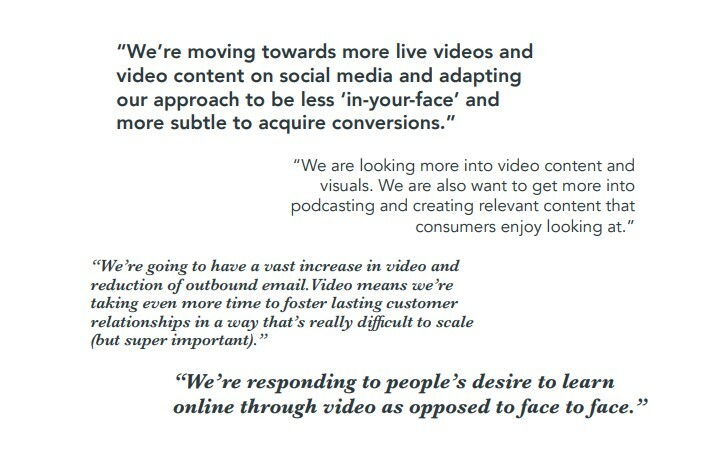 Numerous marketers polled in the State of Inbound report said they’ll be ramping up a focus on video content this year. They believe people want to learn through videos instead of through face-to-face means and think they’ll see notable gains by marketing to people in more subtle ways that depend on video. There is a push toward creating videos people truly enjoy. YouTube and Facebook are two of the top channels inbound marketers plan to use. Why It Matters: Marketing data shows that videos yield a higher ROI than other kinds of content and that professionals who depend on video grow their revenues up to 59 percent faster than those who don’t. Inbound marketers are paying attention to stats like that, as well as the fact that people spend a large percentage of their online time watching videos. There is no better time to either start working videos into a marketing campaign or increase existing efforts. Respondents who gave feedback within the State of Inbound report cited a growing trend in which customers go through the buying process with greater independence and sometimes bypass salespeople completely. 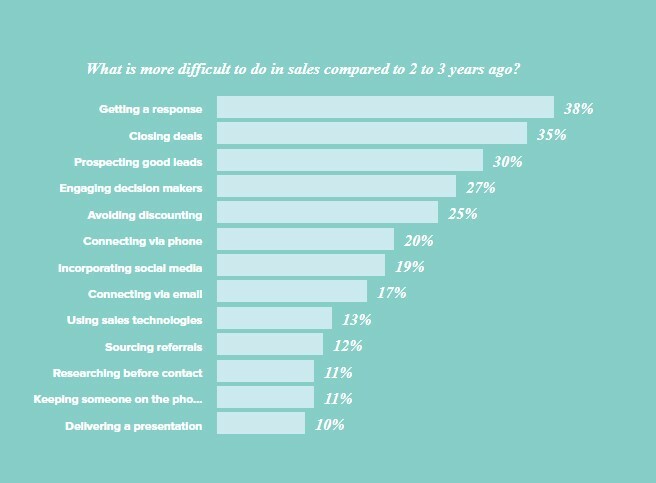 Respondents talked about an increase in digital sales that don’t require a sales professional at all, as well as the fact that customers prefer technology instead of personal interactions. 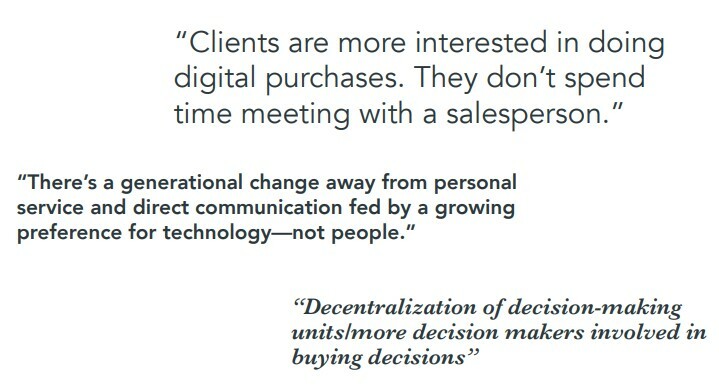 Why It Matters: This takeaway may come as a surprise, especially because many people thought technology would never win out over the human touch in a sales transaction. It’s important to realize that the trend identified in the report does not mean humans have gotten pushed out of the equation altogether. Instead, inbound marketers have brought up how their roles may change. They suspect it may be necessary to fulfill an advisor-type role or offer a concierge service that makes people feel more equipped to buy things wisely. However, this shift probably won’t happen for at least another few years. Financial advisors know this reality well and have figured out how to make clients aware that their money-related advice is the most important thing available—it’s what customers pay for and believe is reliable. In the near future, inbound salespeople may take a more indirect role than the role they have today and provide customers with the information they need to make well-informed choices that reflect desired buying behaviors. Of course, this will only be possible once inbound marketers establish a high level of trust with customers. With that in mind, there will likely be a renewed push toward relationship-building—with the knowledge that a firm foundation of trust stimulates people to buy or otherwise carry out desirable behaviors. Armed with these valuable takeaways, figure out how your marketing methods stack up with the trends identified in the report. Analyze whether your plans for the future are worthwhile or if it’s necessary to readjust things based on what respondents brought up.